Tracking down the records of information you have performed or done throughout a week is much needed. In this way, you arable to know the things you have completed and the work you have done or undone within each day. 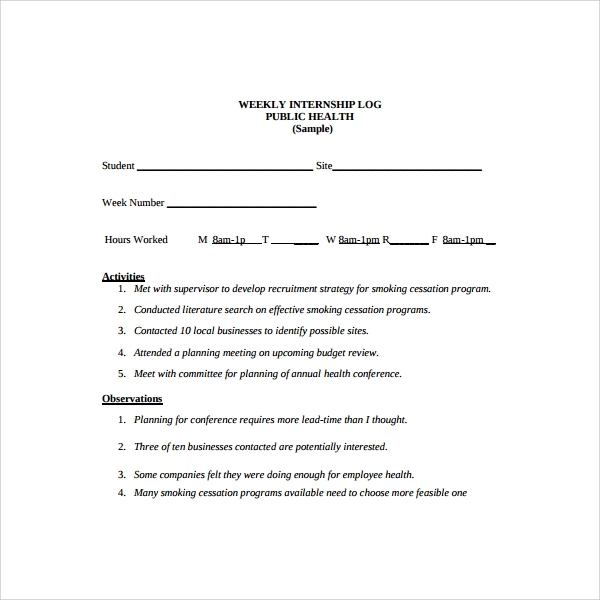 Weekly log , Maintenance Log Template refers to your means of saving information about the client direction and progress, supervision of the site and the whole internship experience of a student. Students may know how he/she spend the whole time of internship experience. This template is very much essential and functional tool; it helps parents, teachers and children. 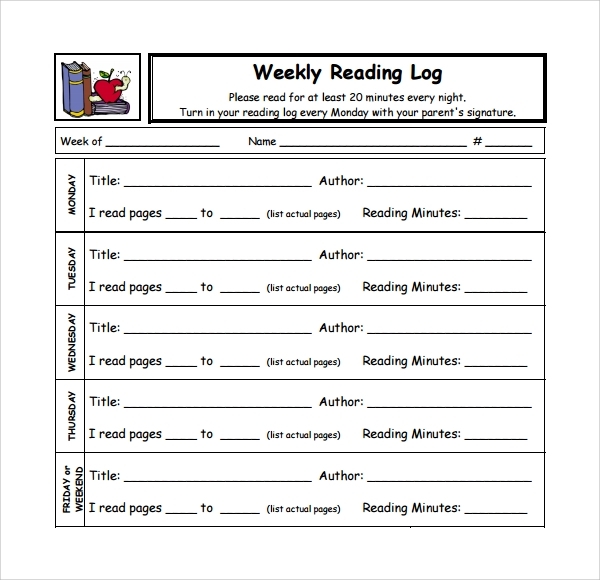 You are able to track the reading progress of a student within a week. In this way, you are able to figure out the status of a student if he/she is improving the reading ability. Track down the list of foods you have eaten or to be prepared within a week. Pick a food that is right for you or right for your diet. 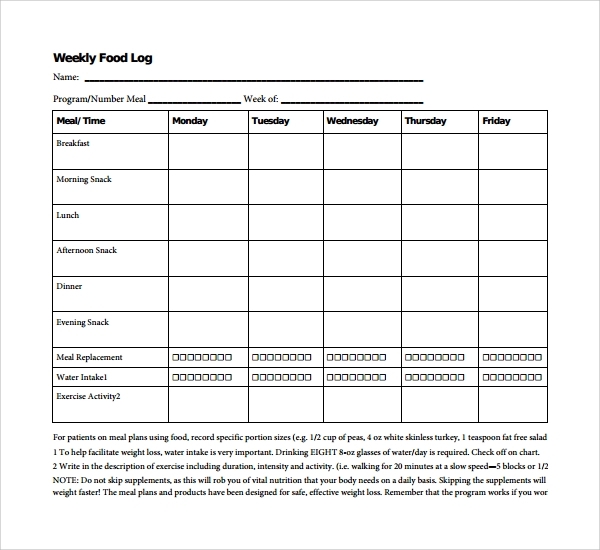 Enlist all the foods you have to consume in a week and eat them for the following week, as listed on your weekly food log template. It is an effective tool for big and small businesses. Employers are able to track down the records of employees work. There are several works to be done in a day. Employers must have this template to monitor the employees work daily. It gives ideas as to how workers perform their work in a day – if a particular work takes an hour, half hour or the whole day. 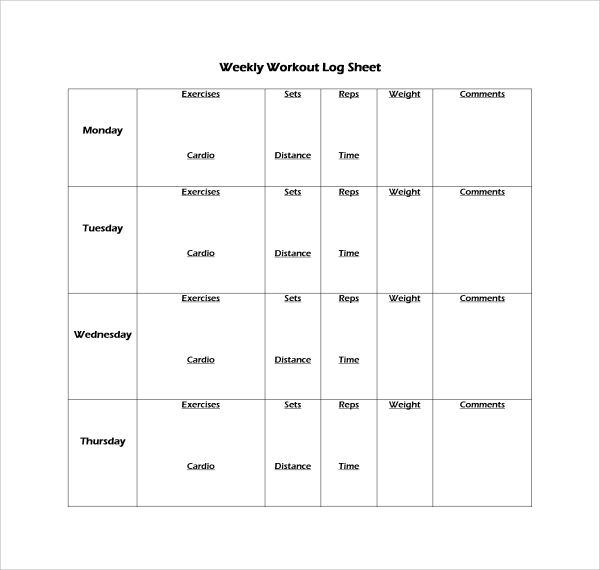 Having regular workout as a part of your health concerns, you should make use of workout log. This helps your regular workout weekly program followed accordingly. You can keep track the types of workout you have performed in a day within a week. Track down all the work you have done. This template helps you understand the speed of how you perform a project. The time you spent in a work helps you understand the quantity of work you are able to finish in day of the week. Time management is so much important that this template will serve as a great tool for you. This template aims to help those who wanted to enhance efficiency. The productivity of work is the main goal of a company, thus, the efficiency of it must be incurred. So, in order to achieve much production, the activity log is a great tool for enhancing efficiency. 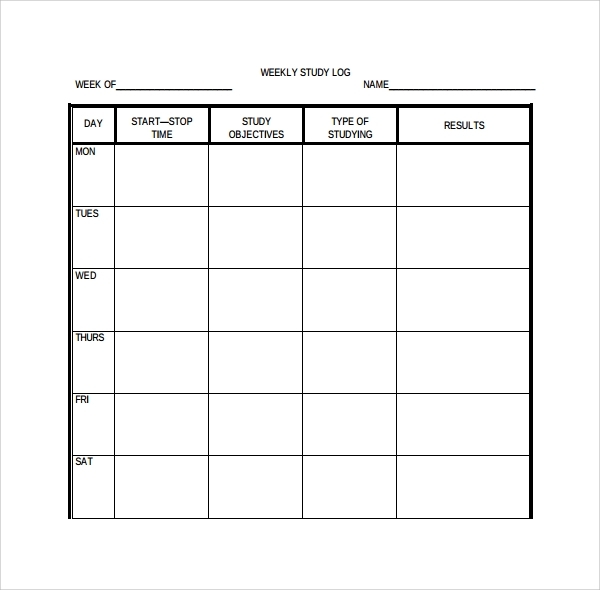 Also, students can make use of this template to track their activities. 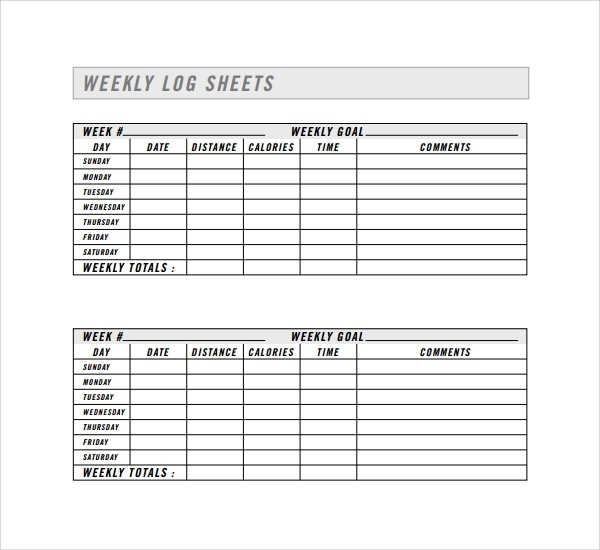 When do I need Weekly Log Template? Weekly log template is applicable, the things done in a week matters most in an individual’s productivity. Thus, you are able to test yourself and even your business if what will be its performance and its progress rate in a week. 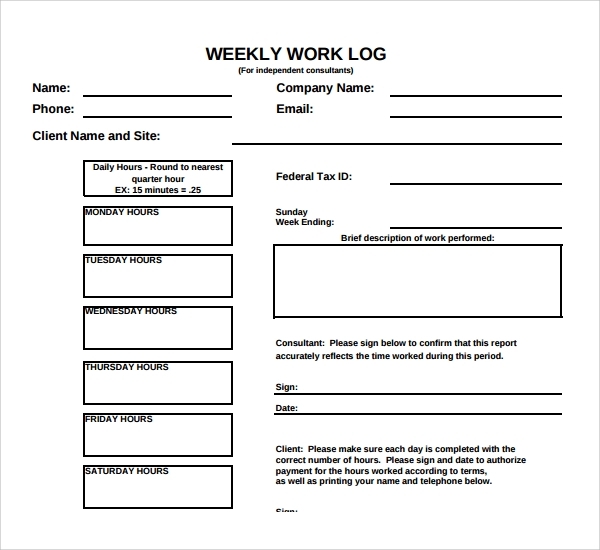 Now, you are able to make decisions or plans through the record of your weekly log template. How long does Weekly Log Template Performed? It can be performed within a week. Tracking down the records from the listed information on the template helps you monitor the useful things completed within a week. You can perform all the listed information on the Action Log Template and check if there’s something new or has changes on your daily activities. How to chart Weekly Log Template? There are no difficulties when it comes to chart the template. You can simply look after the template and choose the simplest diagram or table which is readable to you. There are tables and diagrams which are hard to understand. 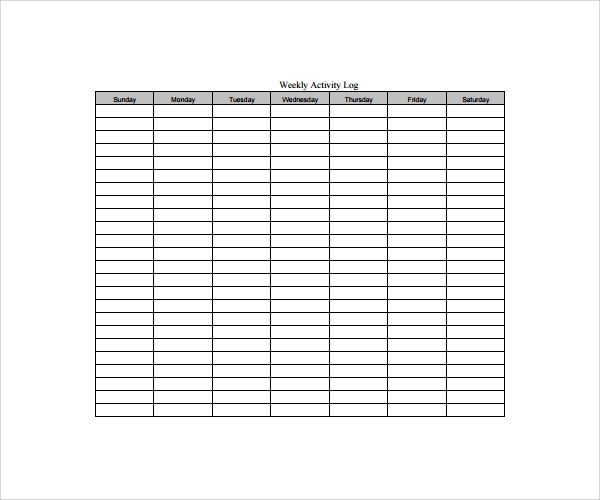 However, you can make things uncomplicated through making a Running Log Template simple and readable. Create table with the columns of each day in a week and list all the activities you are going to perform in a week. The printable-ready template from doc and pdf files is free. You can simply choose which template suits best for you, readable for you and easy for you to understand. 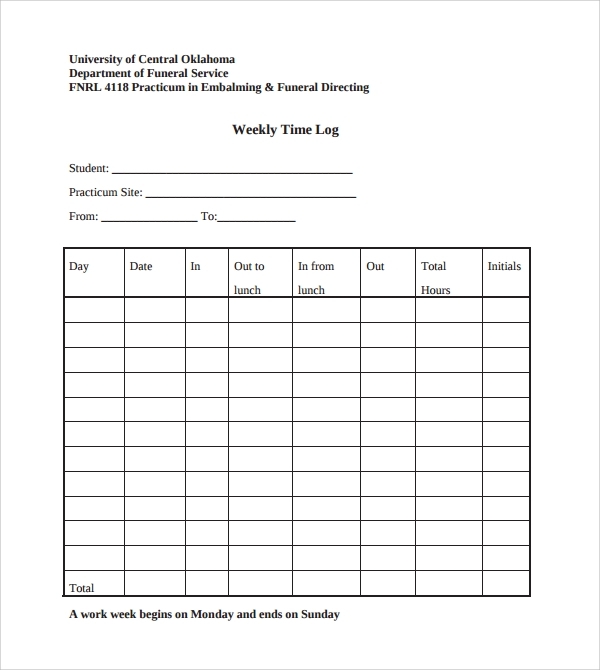 The weekly log template doc or pdf can be printed- so you can instantly use the file through filling up the form for your weekly plan – as easy as that!